Our otter habitat is really something to be seen! 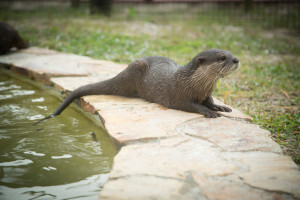 For example, the otters in the Florida Everglades are North American river otters, also known as the common otter. These adorable creatures are not endangered but are sensitive to pollution causing them to become a protected species. At Billie Swamp Safari, we make sure our Everglades otters enjoy a space that resembles their real habitat in the wild. They must have both a piece of land and water in order to survive. Because of these requirements, you will not find a river otter more than 110 yards away from a source of water. In addition, otter homes have many tunnel openings that they slip and slide in and slide out of regularly. 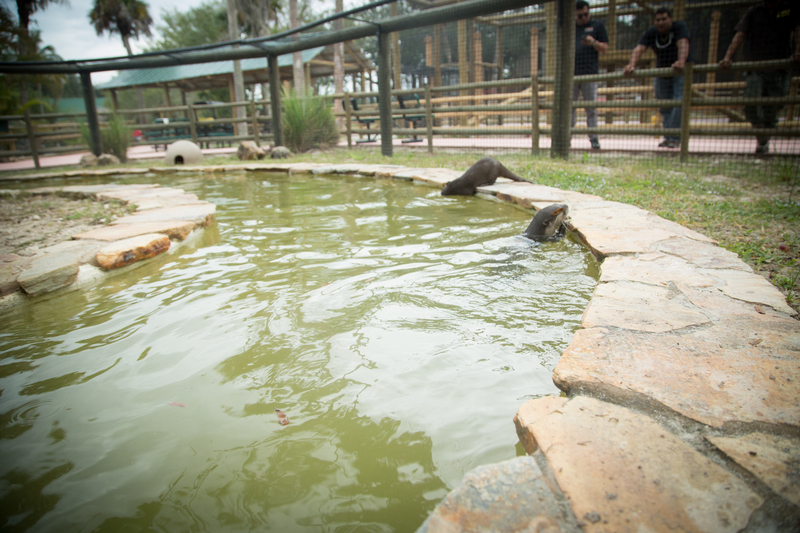 At our otter habitat, visitors and families can enjoy their playful nature as they swim and engage with each other. The Otter One is the Cutest! One of the biggest debate’s visitors have about the Everglades is “which of these animals are the cutest?” While there may be no right answer, the otter will always come up on anyone’s list. Otters are also a lot like humans in their social family. Baby otters learn from their parents and avoid predators by being able to swim underwater to escape from them as they can be underwater for up to eight minutes. Also, they can dive up to almost sixty feet in depth. Additionally, male Everglades otters look for groups of other male otters with families and those families are inclined to hunt and move around together. In fact, they often share homes! 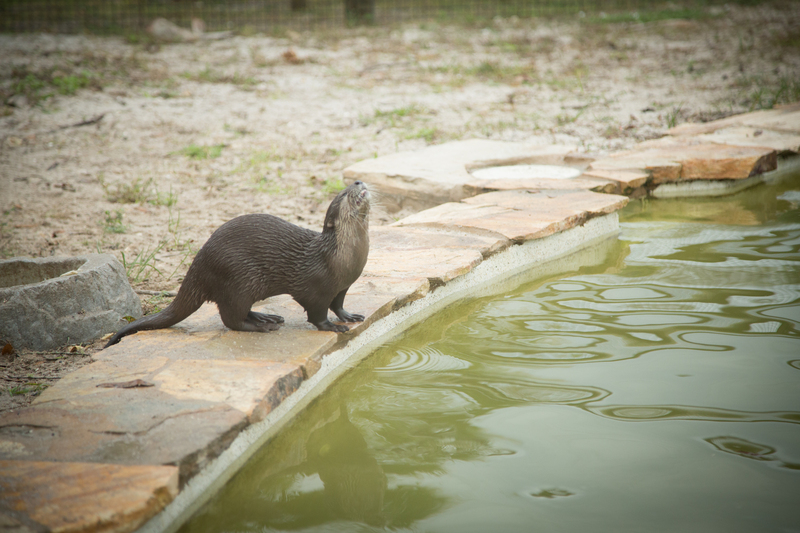 As part of the weasel family, otters love the water and are most playful. In this manner, otters learn survival skills like fighting and hunting through chasing with friends and families. River otters are also known for head-over-heels diving and sliding while in the water. Maybe, that’s what makes them so cute and adorable. 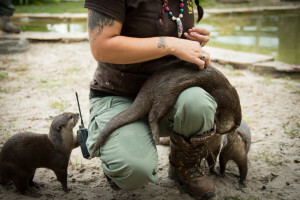 It’s hard to argue the sheer beauty and overall presence of the Florida Everglades otter. 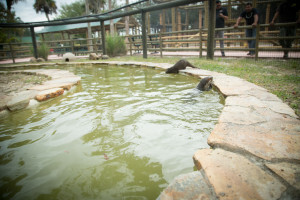 In any case, you will love our otter habitat and enjoy as they frolic with one another. Whether they are the cutest animal is up to you. Florida family vacationers can also see the otter and tons of other animals on one of our Everglades airboat rides or swamp buggy tours.